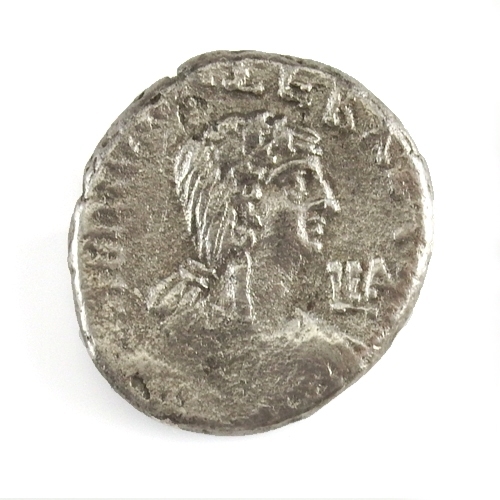 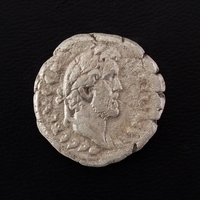 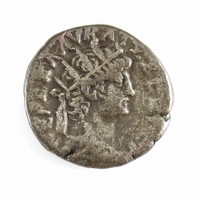 Billon / silver Tetradrachm of Alexandria, Egypt, dated Year 11 (64-65 AD). 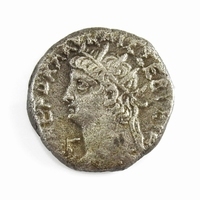 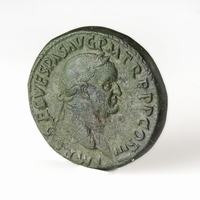 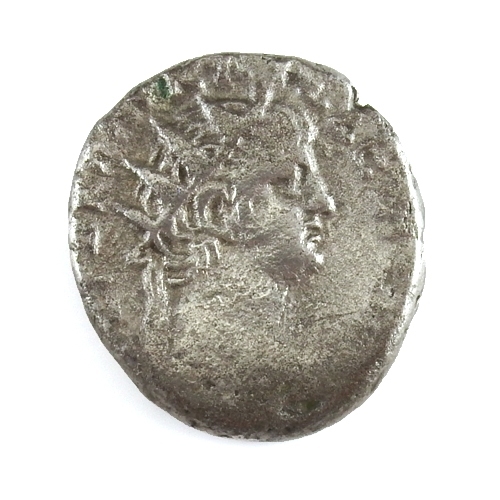 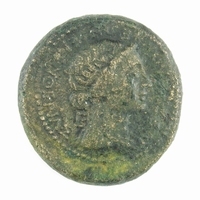 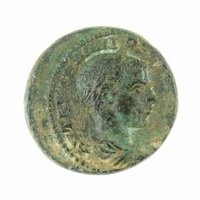 Obverse: Radiate bust of Nero right. 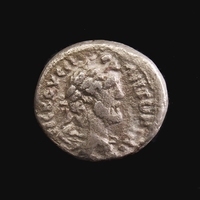 Legend: NEW LKAU KAIS SEB GER AV. 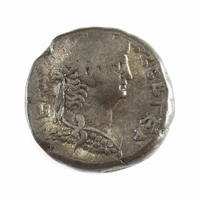 Reverse: Draped bust of Poppaea right, year in right field.